If you can’t live without your daily or weekly sip of Starbucks coffee, you should really sign up and be a Starbucks Rewards™ member to earn stars and enjoy benefits! If you’re already one, then good news for you — Starbucks Singapore has updated its Starbucks Rewards™ Programme, so there’s more to gain from every sip! To be a Starbucks Rewards™ member, you will first need to create a Starbucks account by registering and adding an activated Starbucks Singapore card to your account. This can be done on the members’ portal here or on the Starbucks Singapore mobile app. There are a total of three tiers — Welcome, Green and Gold. Once you accumulate 300 stars, you’ll become a Gold member and get to enjoy the newly refreshed and extensive membership benefits! While the Gold membership has the most extensive range of benefits, you’ll still get to enjoy perks even when you’re a Welcome or Green member, like a one-for-one drink reward for Welcome members when they earn their first 5 stars, or a complimentary slice of cake when Green members purchase a drink during their birthday month! That’s not all. 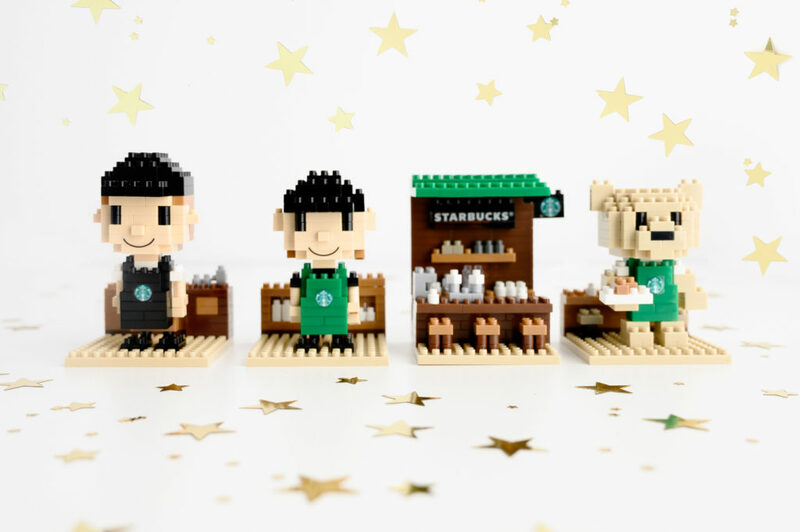 This month, Starbucks Rewards™ members will be able to get their hands on the Singapore exclusive Starbucks® mini collectible set, exclusive to Starbucks Rewards™ members. The benefits of the Starbucks Rewards™ programme are too good to miss out on, so if you haven’t signed up, you better do so now! Starbucks® Barista Boy launches week of 1 April. Starbucks® Barista Girl launches week of 8 April. Starbucks® Kiosk launches week of 15 April. Starbucks® Bearista Bear launches week of 22 April. The Starbucks® Barista Boy, Starbucks® Barista Girl and Starbucks® Kiosk collectibles are $18.90 each for Welcome and Green members, and $16.90 each for Gold members. The Starbucks® Bearista Bear is a Gold member exclusive and is $16.90 for Gold members.